If you’ve ever worked in retail, you’ll know sometimes customers are just plain rude and can make you question why you even bother doing your job. Particularly around Christmas, you’ll come across Scrooge-like shoppers who seem to want to do everything in their power to spoil your festive mood. But one woman refused to let this happen when she got the perfect, petty revenge on a customer who was rude to her in the run-up to Christmas. Sarah Bélanger Demaneuf, a writer and food photographer, took to Facebook recently to reminisce about a particularly rude customer she served when she worked in retail. Uploading a picture of a star ornament, the woman started by saying this was her favourite Christmas decoration – but for reasons of vengeance and spite, rather than the traditional festive joy. 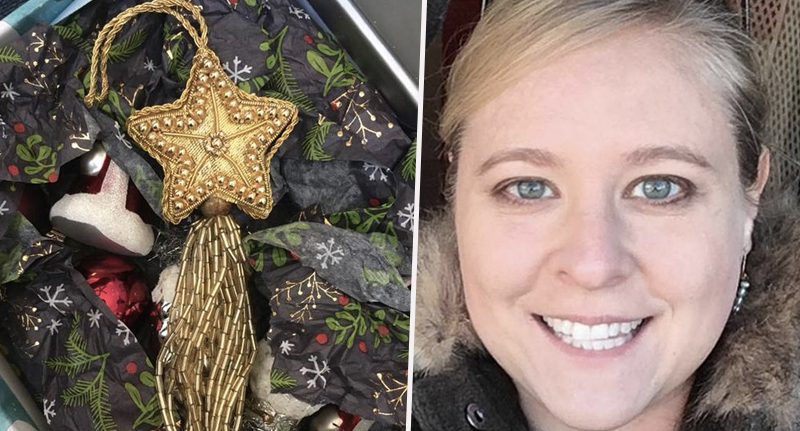 In her post, she described how the star represents a time when she got the perfect revenge on a shopper one December, and that she still smiles every year when she puts it on the tree. Sarah wrote about how the store in which she worked had a 75 per cent sale, and the star decorations in question were reduced to 50 cents. However, one woman allegedly didn’t think this was enough, and demanded to buy four of the ornaments for just 25 cents. As we weren’t at a yard sale I said no and she started arguing with me, becoming increasingly rude and belligerent. It was at this point the woman in question said she knew someone who worked at another store, therefore she was aware that the ornaments would be reduced even further the next morning – by 90 per cent – and so she would come back then. Sarah claims she advised the woman that she couldn’t guarantee all the ornaments would still be there then, at which point the customer allegedly replied saying she would get what she wants. So in an anti grinch moment my heart shrank 3 sizes and I bought all 12 star ornaments. I then called the other Huntsville store and bought ALL their ornaments. And just to be extra spiteful I bought all the star ornaments in Decatur and Florence. It was the most vengeful $30 I ever spent. That’s pretty Grinchy when you think about it. Though I wish I’d have done something like this when I worked in retail – I can only imagine the look on the woman’s face. Sarah described perfectly what happened when the customer came back to the store the next day. The next morning she was at the store as soon as we had opened. I had the pleasure of telling her that ALL of the star ornaments in North Alabama had been sold to one customer. The look on her face was worth every penny spent. She wrote that even now, 17 years later, she smiles when she puts the decoration on the tree, thinking about that time.